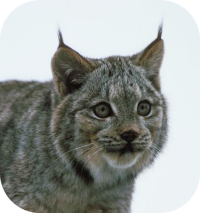 Habitat: Lynx typically inhabit mountains, dense forests, areas with dense cover of shrubs, or tall grass. 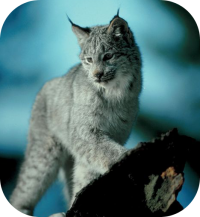 Lynx Species: Their are four recognized living species of the Lynx. 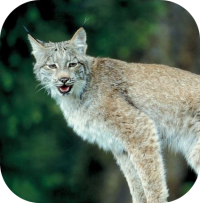 Size: The smallest lynx species is the Bobcat, while the largest is the Eurasian Lynx. 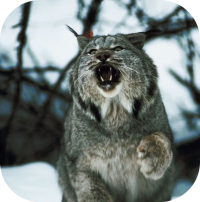 All lynx species measure between 28-51 inches long and stand 19-28 inches when measured at their shoulder. The lynx weigh 18-66 lbs. Conservation Status / Population: The Iberian Lynx is the rarest of all lynx species, and is classified as critically endangered. Diet: Lynx stalk and ambush their prey. They eat small mammals and rodents including: pigs, beavers, rabbits, deer and some birds. 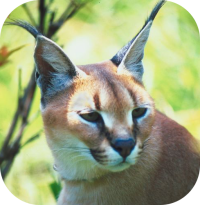 Description: Lynx have short tails and characteristic tufts of black hair on the tips of their ears. 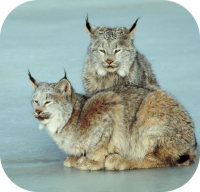 Behavior: Lynx are typically solitary, but on occassion small groups of lynx may travel and hunt together. Birth: Lynx typically give birth to 2 to 4 kittens. Lynx kittens weigh 4.5 to 15 ounces at birth. Siberian Lynx are a sub-species of the Eurasian Lynx and is the largest of all the lynx. Gestation: Lynx carry their young for 63 to 74 days, depending on the species. 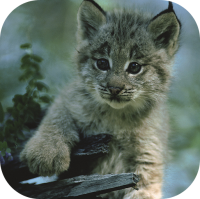 Cubs: Lynx kittens will nurse for four to five months and remain with their mother for the first year of their life. While the Persian lynx or African lynx, and swamp lynx, have lynx in their name they are not actually classified as part of the lynx family. 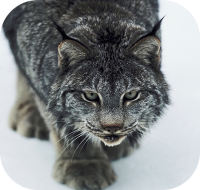 Sexual Maturity: Female lynx are sexually mature at 2 years of age. Male lynx are sexually mature around the age of 2.5. 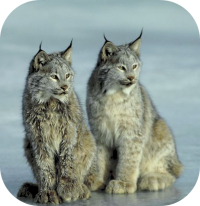 Life Span: Lynx live until about the age of 12 in the wild and up to the age of 21 in captivity. Lioness prowling with a sweet face. Wild bobcat climbing on a fallen tree branch.